The Mobile World Congress, the largest mobile technology event in the world, is upon us. 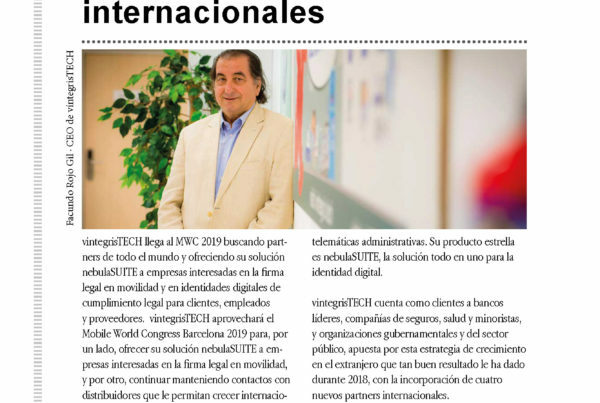 One more year, the vintegrisTECH team will participate under the aegis of Red.es with a booth in the Spanish Pavilion. The objective will be two-fold: to look for partners worldwide and to offer the nebulaSUITE solution to companies interested in the legal signature in mobility and digital identities of legal compliance for clients, employees, and suppliers. If you plan to attend this event and want to request a demo of nebulaSUITE or learn more about our partner program, you will find us at the Spanish Pavilion (stand CS30), booth 17. As we have already mentioned, we will participate with the public entity Red.es, with the aim of publicizing nebulaSUITE and its latest developments and holding meetings with potential partners interested in our innovative technology. This is the seventh consecutive year that Red.es makes available to several Spanish companies related to the mobile industry a space to boost their internationalization, present their products, contact potential investors or expand their customer base. Among the clients of vintegrisTECH, you can find leading banks, insurance, health and retail companies, governmental and public sector organizations. Currently, we are engaged in the process of internationalization, and we continue to bet on this growth strategy abroad. In 2018, a new British partner, VSecure Technologies, was incorporated to respond to the growing demand for solutions for the complete management of the digital identity cycle. 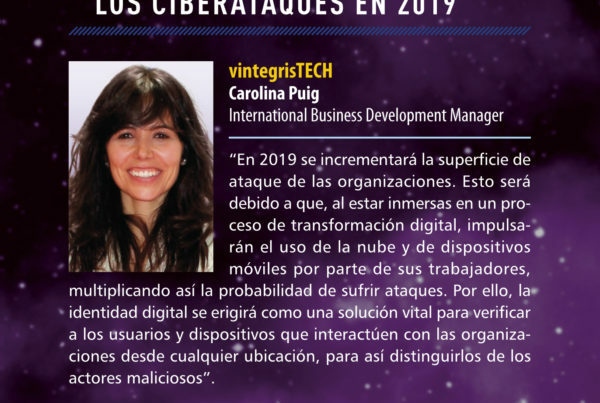 The function of this new partner of vintegrisTECH is the commercialization of nebulaSUITE in the British market, the innovative all-in-one solution for digital identity, authentication and secure access, which has its own Certification Authority (CA). Additionally, we will present our two new solutions, nebulaDISCOVER (for the discovery and inventory of personal and service certificates) and nebulaSNE (for the management of administrative telematics notifications), integrated within nebulaSUITE, of which we will offer demos to all those interested in signing digital mobility and legally compliant digital identities. 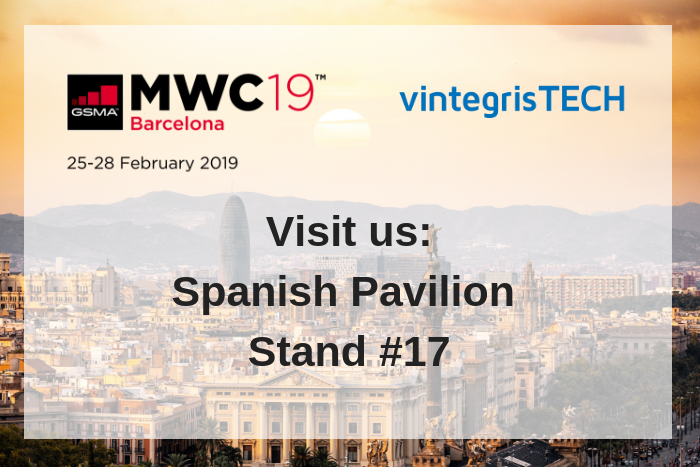 It is estimated that this edition of MWC attracts 107,000 attendees and 2,400 companies, figures showing that this event remains the largest in the global mobile industry. For a few days, Barcelona will become the capital of mobile technology. 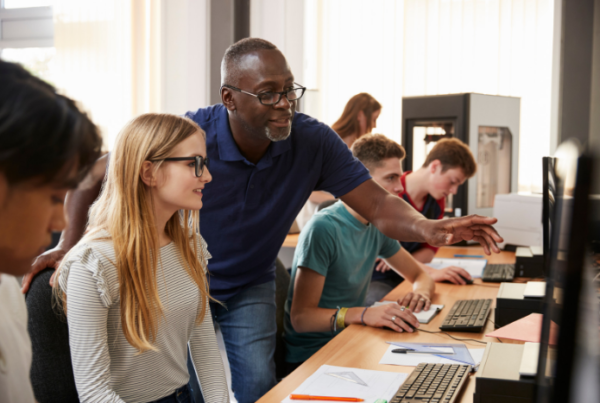 The motto for this year is “Intelligent Connectivity” in reference to the combination of 5G high-speed networks, the Internet of Things (IoT), Artificial Intelligence (AI), and big data, in a framework of personalized and highly contextualized experiences. Among the topics to be discussed will include the most agile and quick connections to facilitate business at any place and time, industry 4.0 and its challenges, and information security to strengthen the trust of users All issues with which vintegrisTECH company is more than familiar. If you are going to be in Barcelona from February 25th to 28th and you plan to attend the mobile technology event par excellence, drop by our stand and ask for your nebulaSUITE demo or discover the advantages of our partner program.